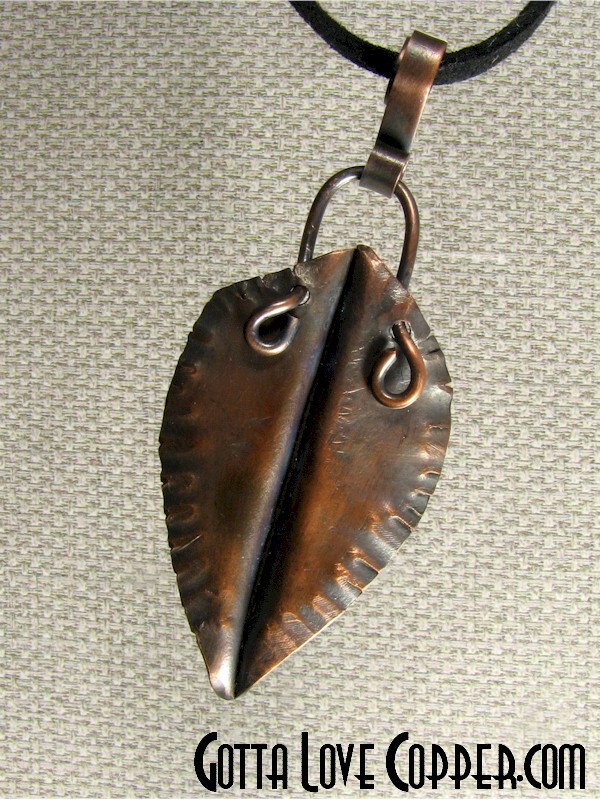 This little pendant looks something like a Bradford Pear leaf. Smooth, flame-colored, and hammered around the edges. This pendant is 1-5/8" high (exclusive of the bale) and 1" wide.